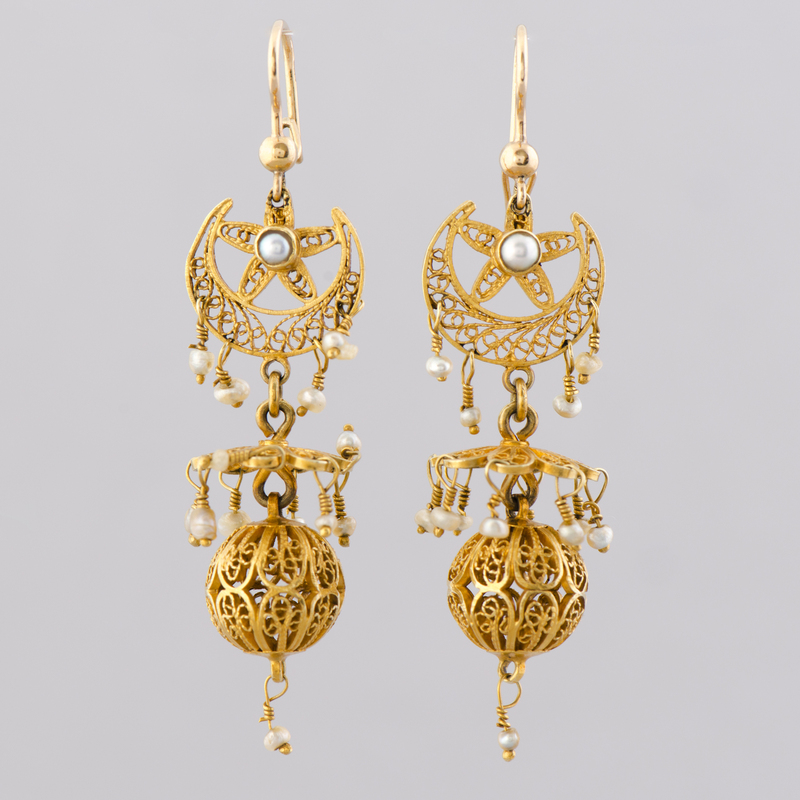 A PAIR OF EARRINGS, 18k gold filigrane. 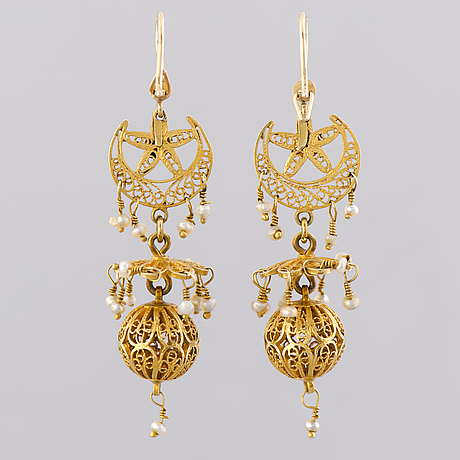 Height of earrings 55 mm. Weight c. 10.5 g in total.